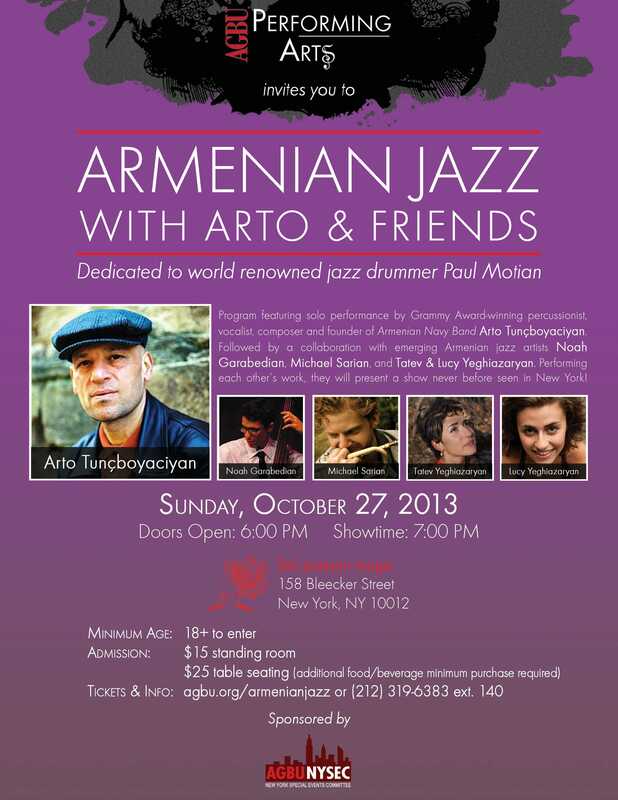 Program featuring solo performance by Grammy Award-winning percussionist, vocalist, composer, and founder of Armenian Navy Band Arto Tuncboyaciyan. Followed by a collaboration with emerging Armenian jazz artists Noah Garabedian, Michael Sarian, and Tatev & Lucy Yeghiazaryan. Performing each others’ work, they will present a show never before seen in New York!